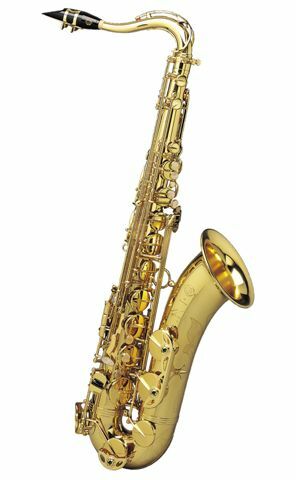 "Reference" is a new Selmer Paris concept, which allows for combining acoustic or ergonomic features of several previous Selmer Paris models with the qualities of a today's design and making. The "Reference" series currently proposes two tenor saxophone versions: -"Reference 36" -"Reference 54". Each model has a specific tone colour: the "Reference 36" features a rich, open tone, in the tradition of the "Balanced Action" manufactured beginning in 1936. The more centred "Reference 54" incorporates the famous "Mark VI" design, which came out in 1954. Selmer Reference "36" and "54": when the legend meets modernity"
range: high F sharp. multidirectional metal thumb rest. finish: "Reference 36": dark lacquer (shade slightly brassier than the series lacquer).